BASS is recognized as the premier forum for the discussion and exchange of safety information for corporate and business aviation operators. It is the ideal venue to connect with hundreds of aviation safety professionals, including some of the most influential leaders from across the industry. This summit is a one-stop resource where key decision makers can exchange information on the latest developments impacting their business. 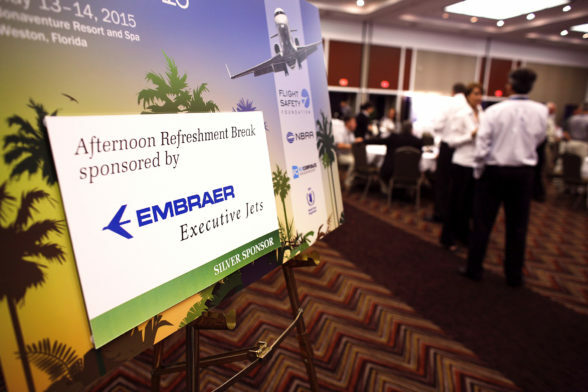 Examples of summit participants include corporate flight department executives, chief safety officers and pilots, aviation education professionals, regulators, and more. See who is sponsoring and who is exhibiting. Looking to connect with BASS’s senior-level audience and strengthen your brand? Try one of the many sponsorship opportunities available through all of BASS’s participant touchpoints. Whatever aligns best with your brand and strategy, the Foundation has a sponsorship solution for you. Contact the FSF events department at events@flightsafety.org or call +1 703.739.6700 for information. BASS attracts over 250 representatives from throughout North America and nearly a dozen other countries. 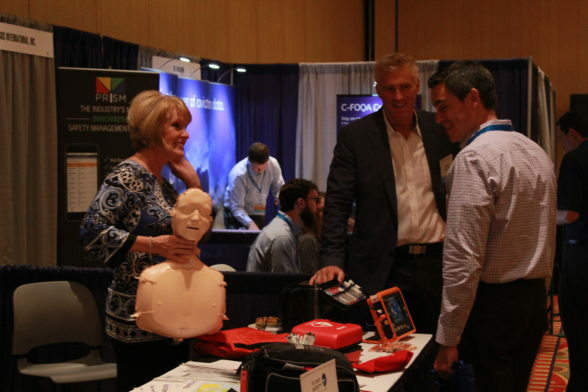 The intimate size of both the summit and exhibit hall means greater and easier access to connect your company’s products and services with an audience of business aviation safety decision makers. For more information on exhibiting, email events@flightsafety.org or call tel: +1 703.739.6700. Exposure on the summit website, in the summit mobile app (new in 2017), and on signage displayed at the summit in high traffic areas.